Inanimate Objects » What is matte gel medium? What is matte gel medium? 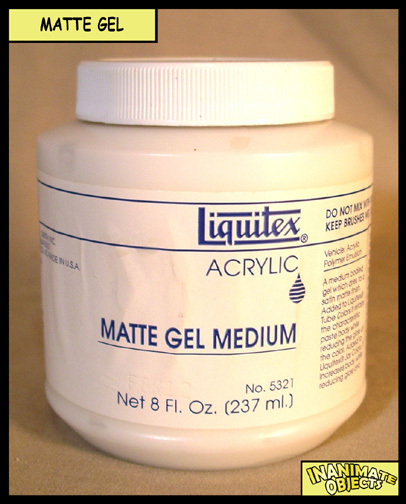 Matte gel medium is a clear paint-like material, used in conjunction with various acrylic paint techniques. For my purposes, I use it as an adhesive for applying emblems that I’ve printed.